While it would be nice to tell you that all auto dealers were fantastic people who could be trusted to tell you the complete truth, the fact is that there are many out there who would like nothing more than to scam you out of your hard earned money. Here, we will look at five sure-fire signs that you are being scammed by the person trying to sell you a used vehicle. 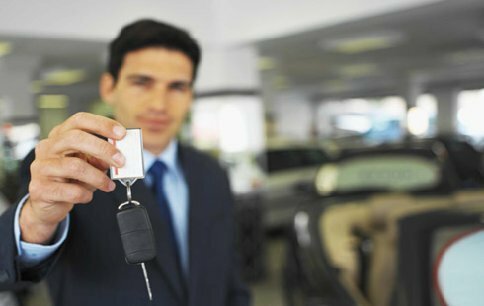 One of the biggest and worst scams is when an auto dealer tells you that you qualified for a low rate and lets you drive off the lot in the car, only for you to get a call a few days later saying that the deal fell through and that your interest rate is now much higher. Never drive a car off the lot until the final financing paperwork has been signed and your auto loan contract is complete. Time and again, people trade in cars that they owe money on, only to find that the dealer never makes good on the promise to finish paying the loan. Instead, the loan is still your debt and you still owe the money. You must make the dealer sign an agreement to pay off the debt within 10 days. Always know your credit score when you go into a dealership. It is a common scam for auto dealers to tell you that your score is too low for great financing in order to charge you more interest. Many auto dealers will tell you that the bank requires you to buy an extended warranty in order to give you a loan. The truth is that this is not the case. Once you take a loan, you owe the money regardless. Ask them to state in writing that it is required and you will see that this is not the case. It is common for auto dealers to sell cars that have been in accidents “as-is” without disclosing accident histories. Always get an accident report before buying any car as-is or without a warranty. Ask to see the carfax report – this is a universally available report that details the car’s VIN number, service history, and any accident claims or repairs. If they refuse, sign up yourself at the company’s website for a small fee and gain access to the service records of every car in America ever sold.